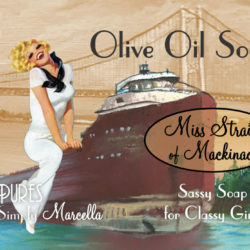 Simply Marcella – Michigan's most chic and bubbly boutique! Every woman is fun, interesting and beautiful, and we're here to make sure she knows it!" At Simply Marcella, we bring you the best in custom jewelry, style, and atmosphere at Michigan’s Most Chic Boutique! We're passionate about helping every woman achieve her happiest self, be that via glamour, relaxation or celebration. 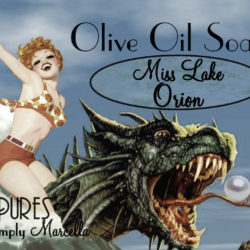 Marcella’s custom Simply Pearls line! Designed by Marcella, her collection of jewelry features hand selected pearls and precious gems, clean lines, sparkle and elegance. You’ll fall in love with every piece, find something perfect for any occasion, and nothing can top the gift of Simply Marcella jewelry! Le Pures, luxury for your soul . 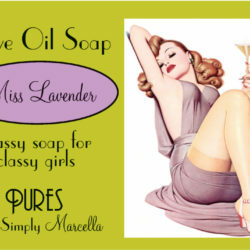 . .
Hand made in Michigan, Marcella’s Le Pures line offers soaps, lotions, balms and candles, all with Marcella’s signature twist of classy, fun, pinup-inspired packaging. 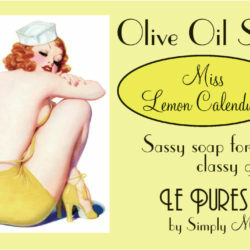 Indulge yourself in Le Pures, or use them as the perfect gift. 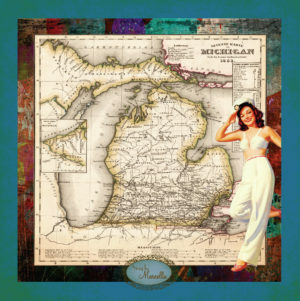 Marcella’s Fabulous Michigan Map Scarves! 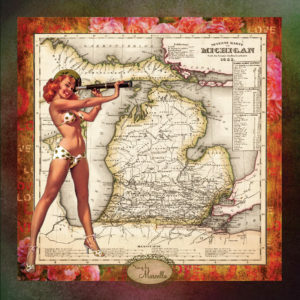 Featuring a historical map of Michigan and sassy pin-up girls, this 100% silk scarf is currently available in three nautical prints: I Spy, Anchors Aweigh and Michigan Salute.